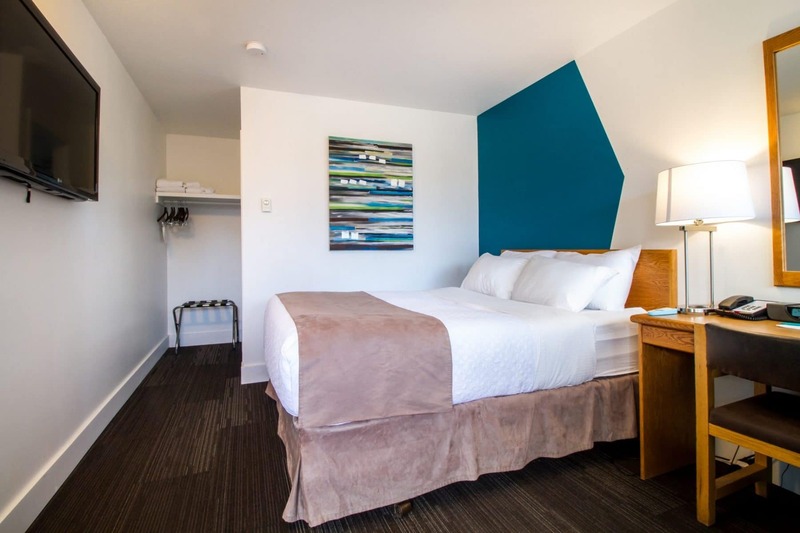 A funky vibe Motel that throws boring convention out the window. 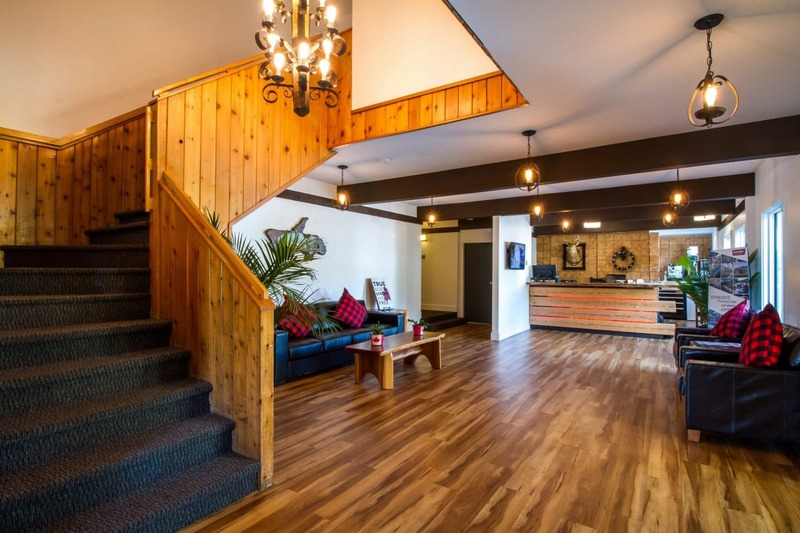 We connect our physical space to the surrounding Canadian Kootenay wilderness through unique design and humble Canadian style. 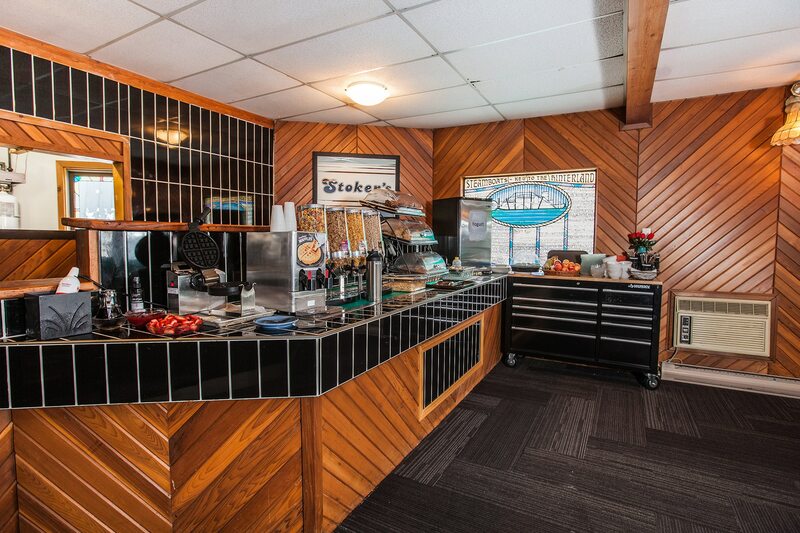 Wrap up in a plush, warm duvet on a chilly winter’s day, get comfy at a raw-cut wood table to socialize, connect online with free high speed Wi-Fi, or sip on our delicious local stoke roasted coffee offered in the lobby. 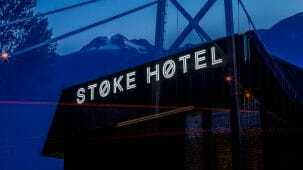 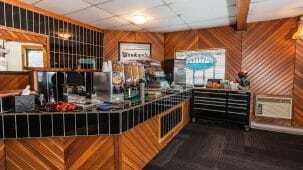 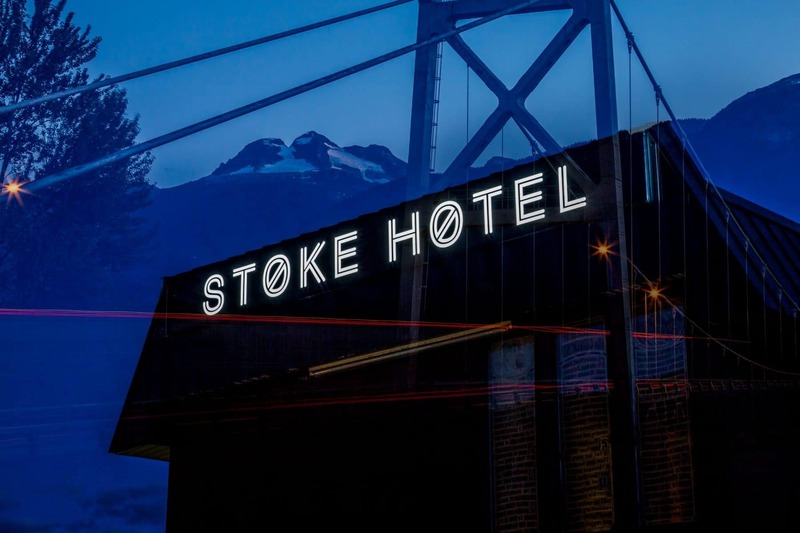 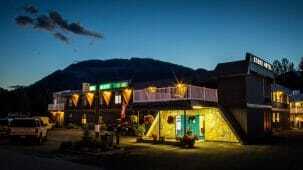 One of Revelstoke’s newest renovated Motel, The Stoke Motel sits along the impressive Columbia River, just off TransCanada Highway #1 close to downtown Revelstoke and all the awe-inspiring outdoor adventures distinct to the Kootenays. 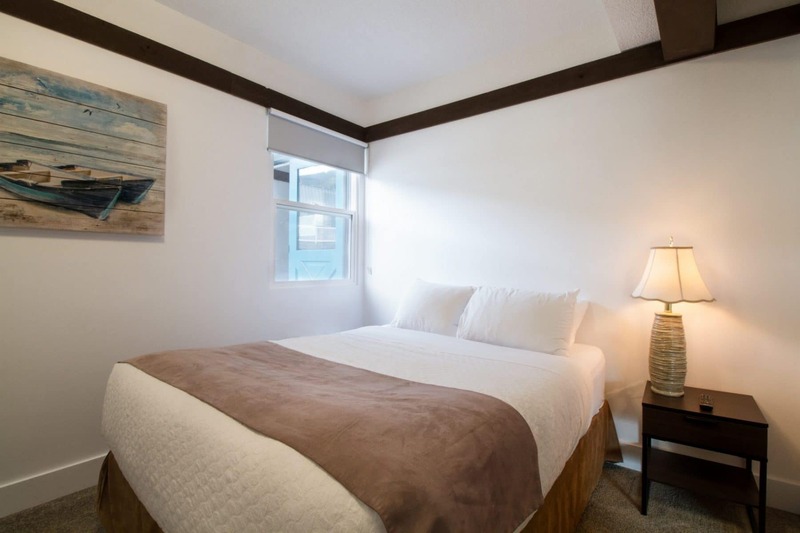 You won’t find rooms like ours at other Revelstoke hotels/motels: with a bright accent wall, cozy duvet bedding and wood furnishings, your room will feel ultra-comfortable and uniquely yours. 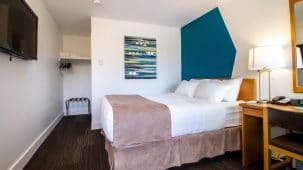 Enjoy a wall-mounted flatscreen TV with cable, free high-speed Wi-Fi, a smart compact coffee station with a mini-fridge, microwave and coffee machine, and much more. 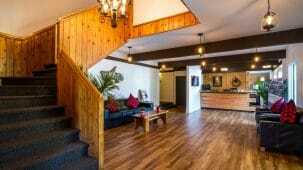 Grab a free ride to Rivercity Pub & Patio, 112 Restaurant and Lounge, Traverse night club and both liquor stores with our free shuttle service from the hotel. 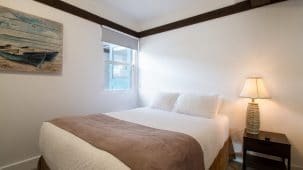 Chill out in a Standard Queen room featuring a comfortable Queen bed, a modern colour palette and all the extras you want: A 37” or 42” flatscreen wall-mounted TV, mini-fridge, coffee machine, microwave, high speed Wi-Fi and a cozy duvet blanket. 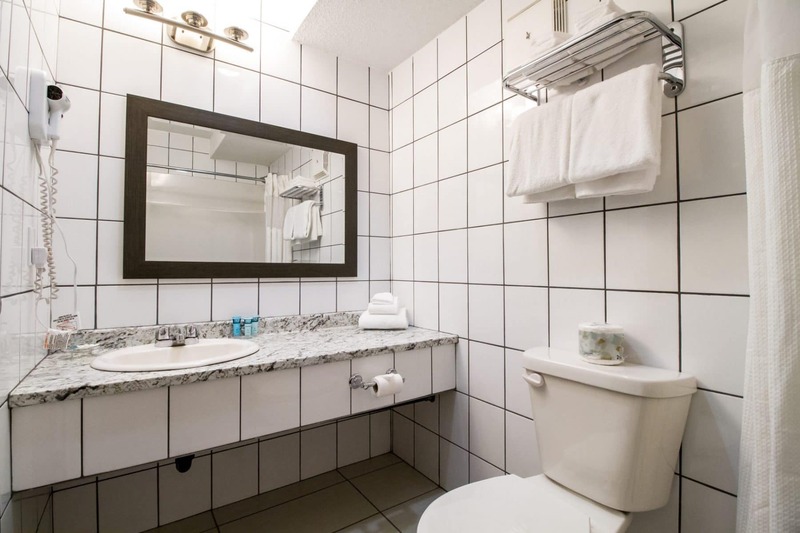 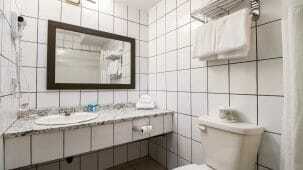 Some of our Queen Rooms are pet-friendly, and most have outdoor corridor access.